The highly anticipated successor to 'This is not Goodbye' (2014) is now available for purchase! 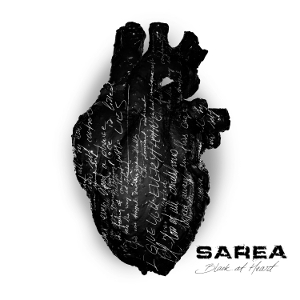 The album is called 'Black at Heart' and it contains 12 brand new, hard hitting Sarea tracks. Get physical copy at Bengans! Get physical copy at Aural Music! 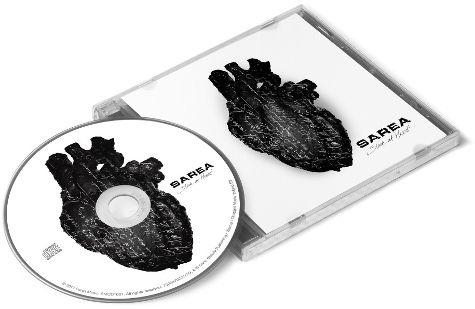 Get physical copy at sareamusic.com! Get digital copy on iTunes! The album was recorded, mixed and mastered during two instensive months at 'Crehate Studios', Gothenburg, Sweden with Oscar Nilsson behind the steering wheel. 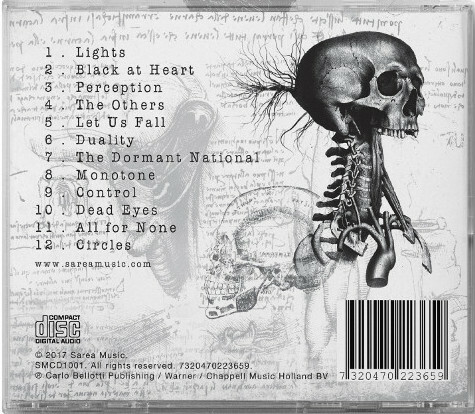 This is the first album featuring "new" guitarist Alex Dzaic as song writer being the main-/co-writer of songs like 'Perception', 'The Others' and 'Control', to mention a few. The dark and realistic front cover was designed by Wibke Loh and that art style was beautifully adapted to the booklet, inlay and disc by Marcus Pettersson. 'Black at Heart' is released through 'Sarea Music' and distributed by 'Wormhole Death' and 'Rambo Music'.